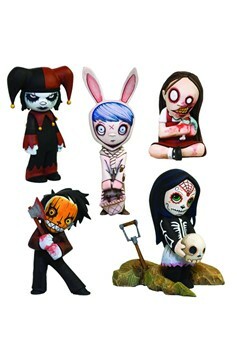 These Living Dead Dolls figures are terror you can fit in your pocket! 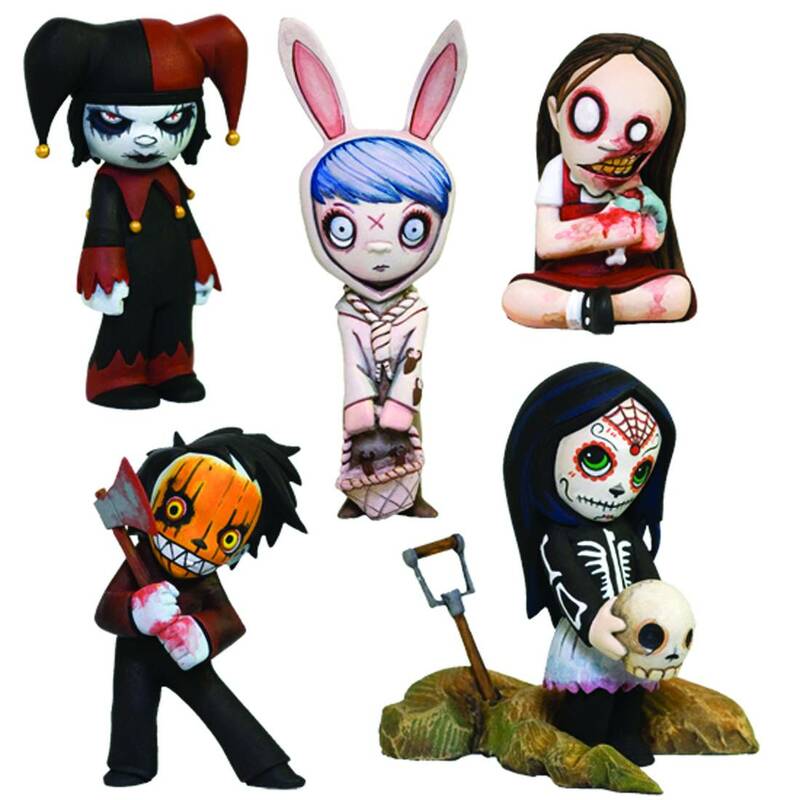 The 2' PVC figures portray five of the most popular Living Dead Dolls in fiendish action poses unlike anything you've ever seen before. Series 1 includes Pumpkin (with an axe and pumpkins), Calevera (with a freshly exhumed skull), Jingles (with candles), Dawn (with a severed hand), and Eggzorcist (with her holiday basket of terrors). Blind mystery box packaging..